How to Improve Website Conversion Rates? If your website is getting decent traffic but you are not getting good conversions, you need to follow certain result-oriented measures to improve your website conversion rates. In order to achieve high sales volume, it is necessary to have a good conversion rate. The term ‘conversion’ not only implies ‘sales’ but also refers to the specific actions of online visitors on your site such as— purchasing a product, subscribing to your emails, downloading a whitepaper, or filling out a contact form. The key objective of every digital marketer is to generate website traffic that converts into leads. If your website is getting decent traffic but you are not getting good conversions, you need to follow certain result-oriented measures to improve your website conversion rates. In this post, we will share some conversion tips to help you increase your website’s conversion rate. Build a Solid Plan for A/B Testing: Also known as split testing, A/B testing is a great way to know the preferences of your customers. A/B Testing is a procedure in which you conduct concurrent experimentation between two pages to find out which page outperforms the other. It is the most popular method followed by digital marketers to confirm if any novel addition or alteration to their web page will actually help improve its conversion rate. Create a Convincing Value Proposition: It is the most crucial conversion factor as it explains why a prospect should prefer you over your competitors. Thus, you should create a compelling value proposition that reflects the uniqueness of your business and differentiates you from your competitors. In order to understand the true efficacy of your value proposition, you must conduct tests to find out how it inspires your target audiences. Furthermore, it is equally important to communicate your value proposition effectively to derive the best possible results. Avoid Using Business Jargons: Avoid annoying your visitors with complicated business jargons as it may drive away your leads. When prospects visit your site to purchase a product, they look for something that will make their life simpler. Using complicated language makes it difficult for your prospects to comprehend what you are trying to convey. Do Not Include Any Unnecessary Field: Shorter signup forms have better conversion rates, as adding an unnecessary field in your signup form often reduces conversion. Visitors do not prefer filling out information that is not necessary for purchasing your product or to subscribe to your newsletter. Thus, you should not ask visitors to provide details that you don’t need to know. Moreover, to make the signup process simple, you should provide your visitors with the option of signing up using their Google or Facebook account. Furthermore, in order to provide your customers with a sense of security, do not forget to declare that their private information will never be shared with third parties. Make Your Pages Distraction-free: Distractions often divert visitors away from the goal; thus, make sure you minimize distractions from your product pages, and checkout page. Minimizing unnecessary links and irrelevant information from your checkout page can significantly enhance your website’s conversion rate. For example, in order to win the undivided attention of its customers, Adidas takes out the navigation bar from the top of its checkout page. Similarly, Amazon hides the menu as soon as users land on its checkout page. Simplify the Process of Buying: Your objective is to make the process of signup simple and easy. Your prospects should be able to easily figure out where to click and how to purchase from your site. Thus, make sure each page of your site visually guides your visitors so that they can take the next step with ease. Moreover, you should never compel your prospects to sign up in order to purchase from your site. The best option is to allow users to checkout as guests. At the same time, you should emphasize on security features, easy returns, and free shipping. Eliminate Risks: Every transaction involves risk, and generally it is the buyer who bears most of the risk. However, if the transaction involves big risks, then prospective buyers would refrain themselves from purchasing from your site. Thus, it is imperative to remove all possible risks to keep visitors from leaving. For example, Dominos Pizza assures that if your pizza is not delivered in 30 minutes, the pizza would be free. With such an assurance the fear of risk gets eliminated. 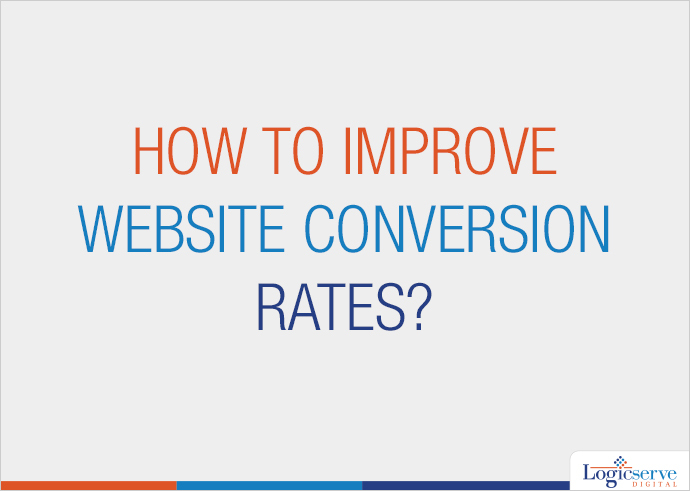 There are countless other ways to enhance your website’s conversion rates. However, the above-mentioned tactics can be a great way to start with. By adhering to the above-mentioned guidelines, and monitoring your conversion rate regularly, you will be astounded to see how your conversion rate increases terrifically.